Julian Brigden is the Co-Founder and President of Macro Intelligence 2 Partners. Julian has over 25 years of experience in financial markets. He has held positions in market and policy focused consulting to hedge funds and banks, as well as in FICC sales. As a global macro strategist, not a journalist or economist by training, Julian’s primary focus is exploiting trading opportunities inherent in macroeconomic and policy-related developments. He is particularly skilled at exploring correlations in the economy and financial markets. 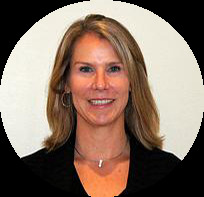 Gretchen Brigden is Co-Founder & Chief Operating Officer at MI2 Partners, where she is responsible for sales, client management, legal, compliance, and administrative functions. Gretchen brings over 25 years of professional experience in finance, including extensive work in esoteric asset backed finance. Ronnie Aked rounds out the senior research team and has held positions in the finance industry for over 30 years. Ronnie brings a complimentary skill set to MI2, helping to identify investment themes and key actors likely to impact pricing and market clearing across asset types. He uses a synergistic process to his work, combining macro catalyst identification and flow of funds analysis with a liquidity filter. Harry Melandri has over 25 years of financial markets experience and has held senior roles in fixed income portfolio management at Deutsche Asset Management, Aberdeen Asset Management and Brevan Howard; in macroeconomic research and macro strategy at the Bank of England and Medley Advisors; and in fixed income and derivatives trading at UBS and other investment banks. Harry has extensive familiarity with emerging markets, and a background in volatility trading and quantitative analysis. 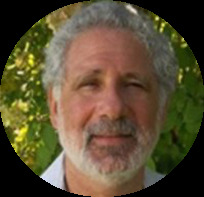 Jeff Uscher is the primary contributor to the Japan Update, which provides insight on the Japanese economy and markets. Jeff is the founder of Jeff Uscher's Japan Insider and has more than 35 years of experience following Japan. He is fluent in Japanese and reads local news sources to discover insights on policy, politics and economics, which are often not available in English. Jeff comes from an equity background and spent many years as an equity analyst and head of research. Steven Sweeney joined MI2 Partners in 2016 and provides much of the analysis that forms the backbone of our research. His previous modeling work ranged from the behavior of energetic systems to commodity, equities and currency analysis. He uses a variety of modeling methods, programs, and coding languages. Greg Obernesser became a part of the MI2 Sales and Client Management team in 2015. Before working at MI2, Greg spent his time working for NGOs and in municipal government. Greg is a resident of Vail and is an avid backcountry skier. Annie Carpenter is a member of the Sales and Client Management team. Prior to MI2, she worked in luxury hospitality and high-end customer service in Vail, Colorado. Annie brings a unique and complimentary skill set to the team with direct marketing and PR skills. Annie is a resident of Vail and pursues her enthusiasm for the outdoors throughout all changing seasons. Kelly Shanley joined MI2 Partners Research Team in 2019. She graduated from Colorado School of Mines with an M.S. in Mineral and Energy Economics. Kelly uses her understanding of economic models and analysis to validate and buildout MI2s historical reports and trades. Kelly has been a ski instructor in Vail since 2011 and continues to develop her knowledge and passion for the sport through training for further certifications.